Windows provide a home with light, warmth and ventilation, but they can also cost money if they are outdated or not installed properly. Windows that are not energy-efficient can allow heat into your home in the summer, which will make it more expensive to cool your house. They can also allow heat to escape in the winter, which will raise your heating bills. If your home’s heating and cooling bills are higher than you would like, installing energy-efficient windows can help. Energy-efficient windows are made with two or three panes of glass with argon or krypton gas in the spaces between them to minimize heat transfer. This will help you keep heat in during the winter and out during the summer. That can help you significantly reduce your energy costs throughout the year. Windows can also be covered with low-e coatings to improve energy efficiency. These coatings help reduce heat transfer, further lowering heating and cooling bills. They will still allow plenty of sunlight into your home during the day. Modern window frames can be made from a variety of materials, including vinyl, wood, fiberglass and aluminum. While each has its advantages, all are designed to minimize heat transfer to keep your home at a comfortable temperature year-round. If you are looking to improve your home’s energy efficiency, replacing your windows is a good place to start. K.P. 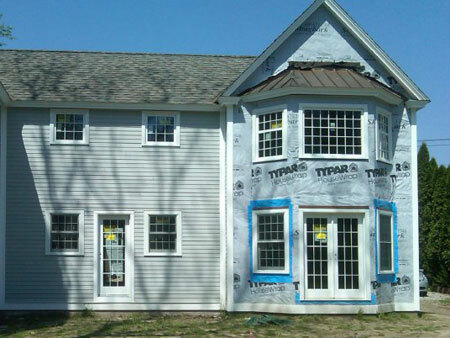 LaMarco & Associates is a leading installer of windows at homes throughout Connecticut. We use only the finest windows from top manufacturers, including Andersen, Pella, Marvin and Sheffield. Call us today at (203) 415-6773 to learn more about our selection of energy-efficient windows and to request a quote.